Message Boards › Fanfiction and Writing › 2017 Valentine's Day Fanfic Contest! Voting Now Open until 11:59pm pacific March 19th! Read more downthread or just jump in and start reading the entires here. Once you’ve decided, head to the voting form. 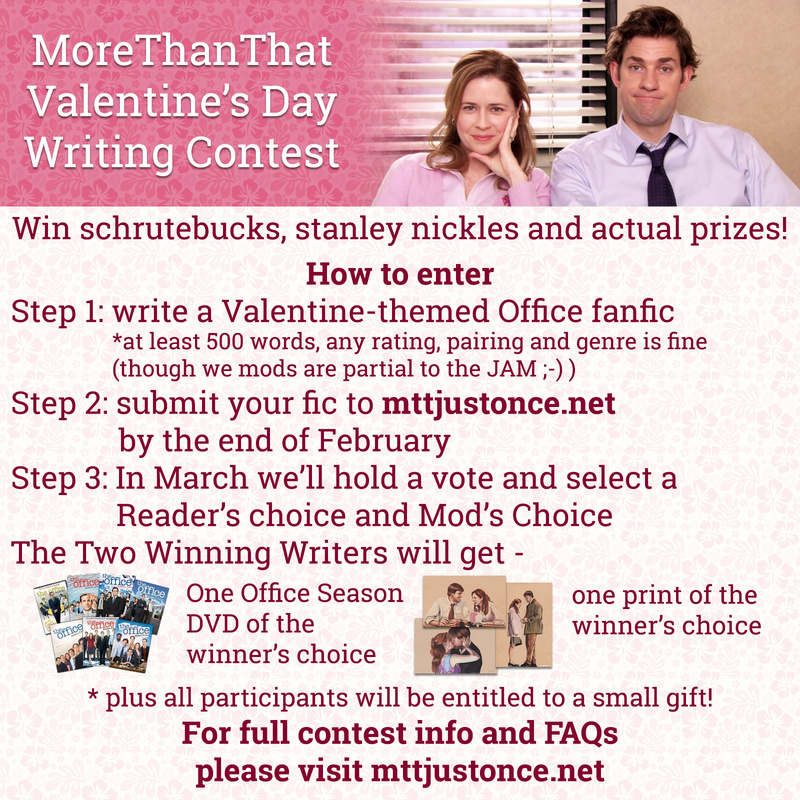 This year MoreThanThat is holding a Valentine’s Day writing competition. We are asking writers to submit their Valentine’s Day related stories to MTT during the month of February. Then the first week of March, we will have a vote for the Reader’s Choice and Moderator’s Choice. In addition to internet praise and kudos, these two winners will also receive prizes for realsies! If you don’t already have an account on the MTT fanfic archive, sign up for one . Once approved, a mod will add the entry to the Valentine’s Day 2017 Challenge. What do the winners and participants get? A photographic print of the winner’s choice from our mod Ladama’s RedBubble shop . In addition, all participants will get a Jim/Pam card or sticker of their choice featuring Ladama’s work. Please see the next reply for more details. – Please reply to this thread or email us at MTT.fanfic@gmail.com for any further questions! If you can, please help us spread the word about this contest! Send your writer friends to mttjustonce.net and/or share this graphic! Summary: Jim helps Cece and Philip create art for Valentine’s Day. Things get out of hand. Summary: This is a “what if” situation that takes place during S3E16: Business School. It begins the day before this episode, on Valentine’s Day 2007, and ends at Pam’s art show the following night. Summary: It is Valentine’s Day and Michael is throwing a party. Pam Goes to the party to blow off some steam and have fun. Pam gets a little drunk and gets the guts to do something she has been wanting to say for a long time. Summary: This story takes place right after the events of Valentine’s Day, season 2. 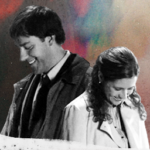 Pam has an epiphany and realizes that the life she wants isn’t necessarily the life she has now. Once you’ve made your decision, head to the voting form here. Voting is open to registered members of the archive (or of these forums) until 11:59 pacific March 19th, please vote today! This is much delayed but here are the winners of our first Valentine’s Day contest! Reply To: 2017 Valentine's Day Fanfic Contest!